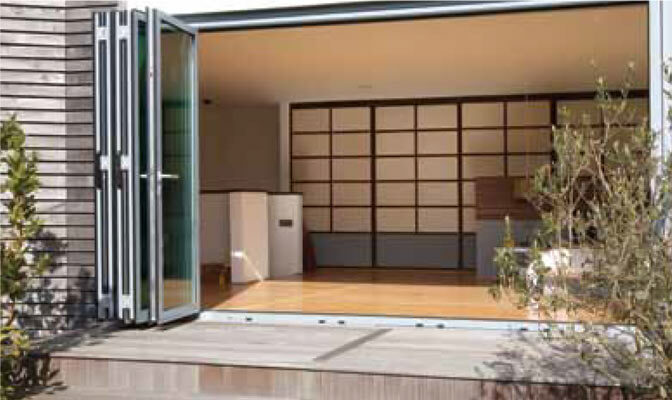 Folding Sliding Doors represent an exciting opportunity for open plan living or the creation of space and light. 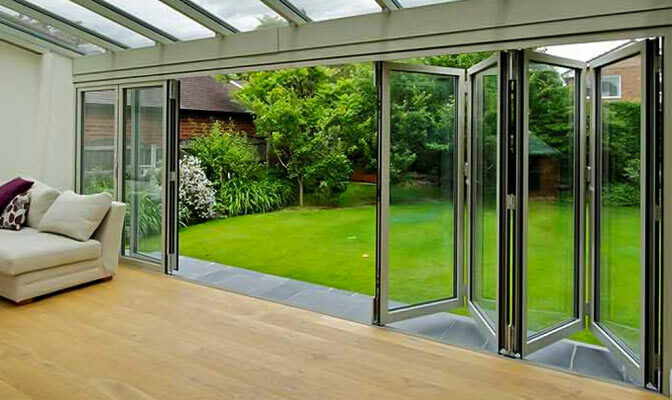 Whether it's a commercial application (eg car showroom), restaurant or bar, or domestic use - from a lean-to conservatory to a grand swimming pool enclosure or as an aesthetically pleasing alternative to conventional French or Sliding Patio doors. 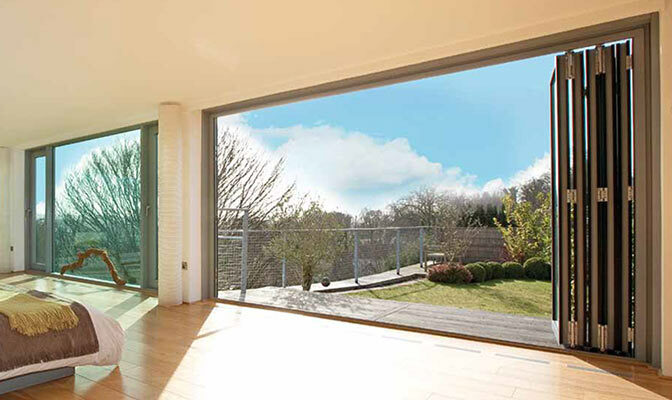 Modern technology and the latest hardware ensure these doors are high performance and designed to last. 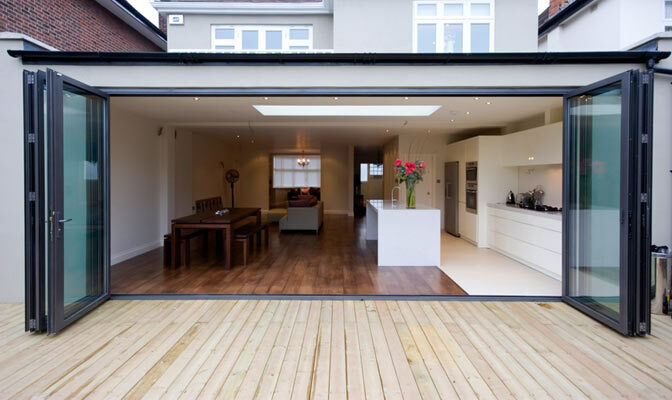 With flush floor levels from inside to outside, they will bring the outside in.